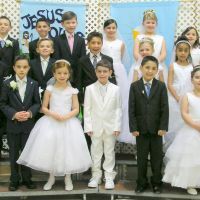 Children enter Level One of our religious formation program in first grade. 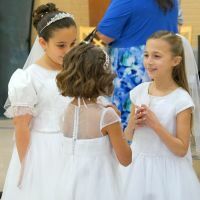 For the first two years they receive sacramental preparation for the Sacraments of Reconciliation and First Holy Communion. 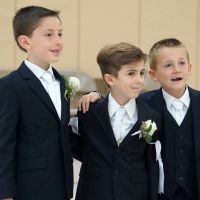 First Communions take place in the spring of the Level 2 year. 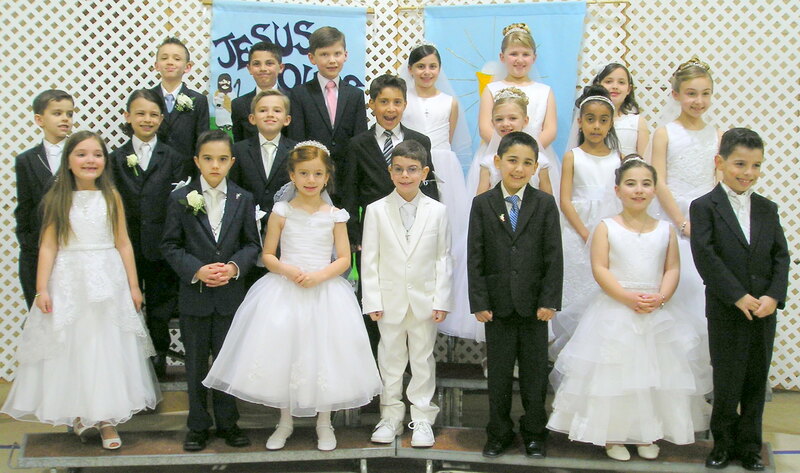 St. Patrick School students receive sacramental preparation in school during their religion classes. 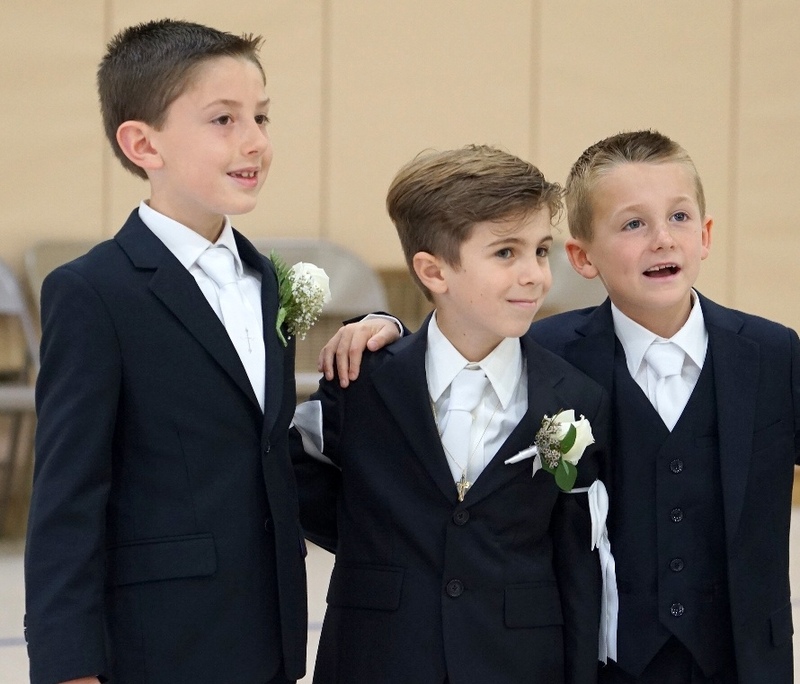 For more information on our Religious Formation Program, call 631-724-7454 or email stpatsrfc@optonline.net. 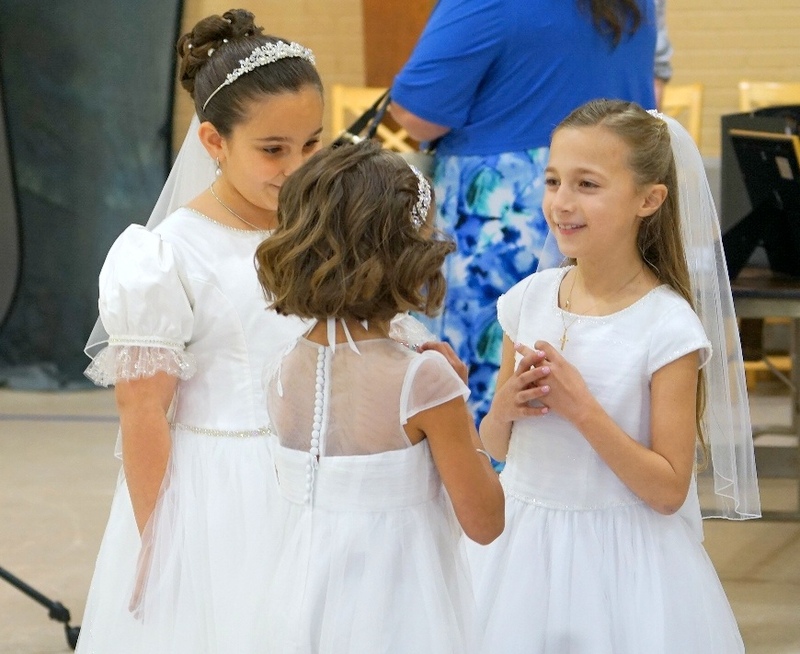 Older children or adults are often prepared for their First Holy Communion through our RCIA (Rite of Christian Initiation for Adults) program. For more information on RCIA, call the rectory at 631-265-2271 or email rcia@stpatricksmithtown.org.